It's officially Autumn (or Fall) whatever you like to call it, it's almost here! I love Fall, but with it comes the transition to Winter, which means colder weather and drier skin. Ugh. Summer is the one respite I get, as my skin retains hydration and doesn't give me any issues. 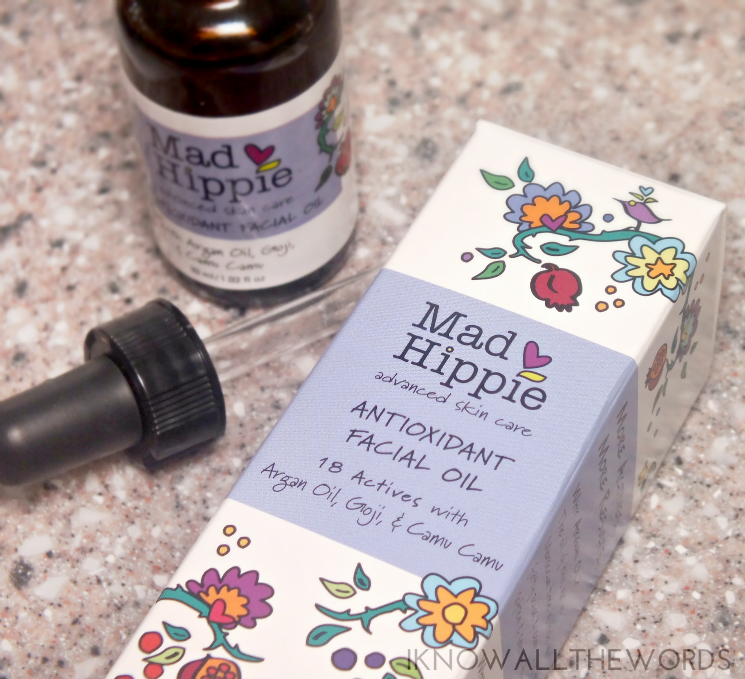 Luckily there are all kinds of products I get to try to combat the dry, with Mad Hippie Antioxidant Facial Oil being a pretty spectacular one. Argan Oil: provides instant, non-comedogenic hydration, while naturally occurring triterpenoids work to reduce the appearance of scars and inflammation. It contains over 80% essential fatty acids, as well as naturally occurring vitamin E.
Pomegranate Oil: a potent antioxidant that is a high source of ellagic acid, a polyphenol that has been shown in studies to help inhibit the growth of skin cancer. Also believed to mediate the effects of ultraviolet rays & skin discoloration. The blend of oils and fruit extracts combine to create a luxurious (yet budget friendly) oil that is super hydrating without being heavy or oily feeling on skin. I found it absorbs easily into skin and does so completely without any oily feel or film. The precious oil concoction is housed in an amber bottle (to keep everything in there safe from light) and dispenses easily via a pipette. 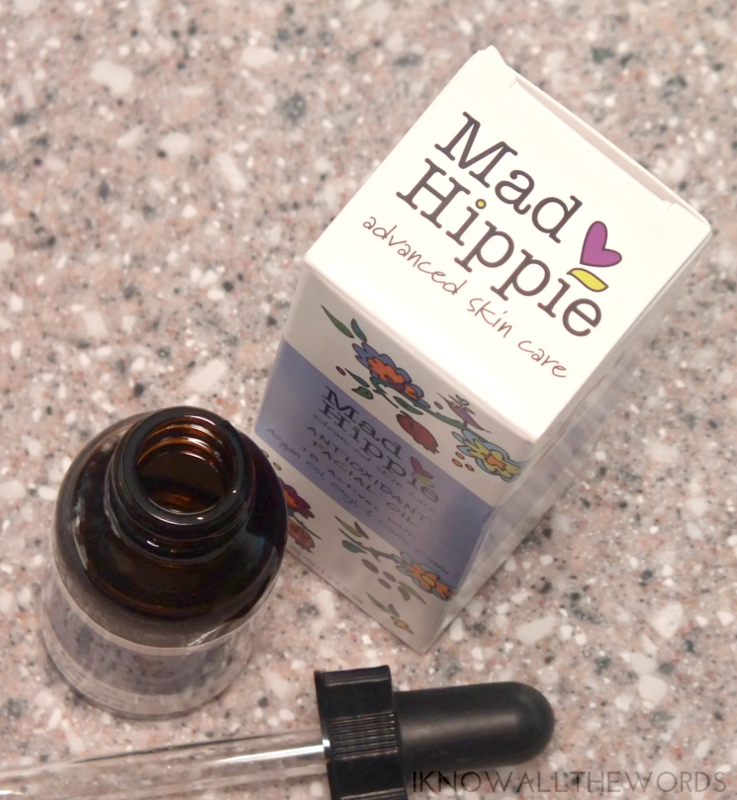 The hydrating is instant and the effect is happy, smooth, and slightly fruity scented skin (a nice bonus!) I didn't have my usual dry spots when I started using this, but I fell this will definitely keep them at bay throughout the colder months. Overall, I can't say enough good things about this oil! I highly suggest it to... well, pretty much anyone with skin. 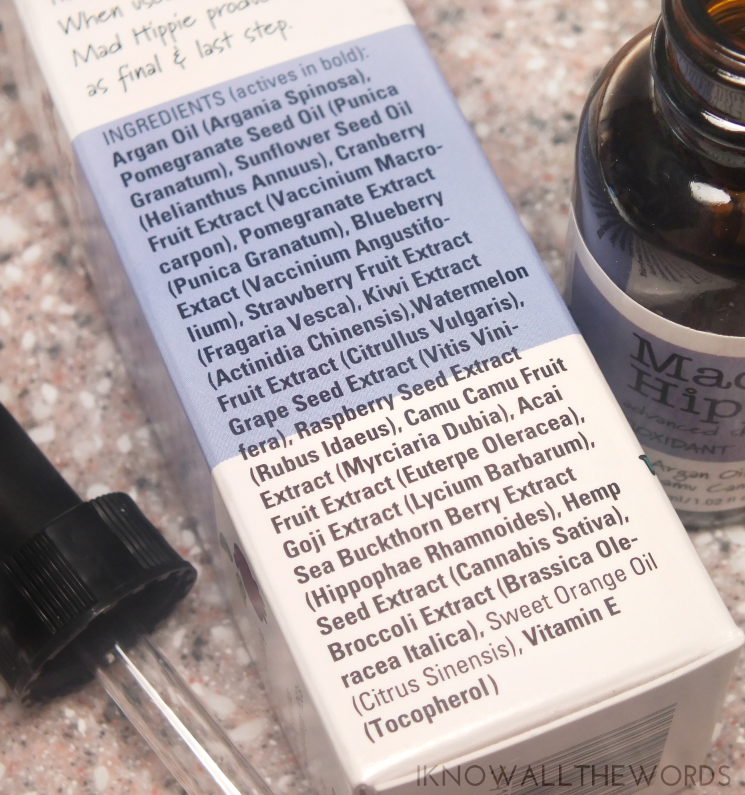 Have you tried this or anything else from mad Hippie? 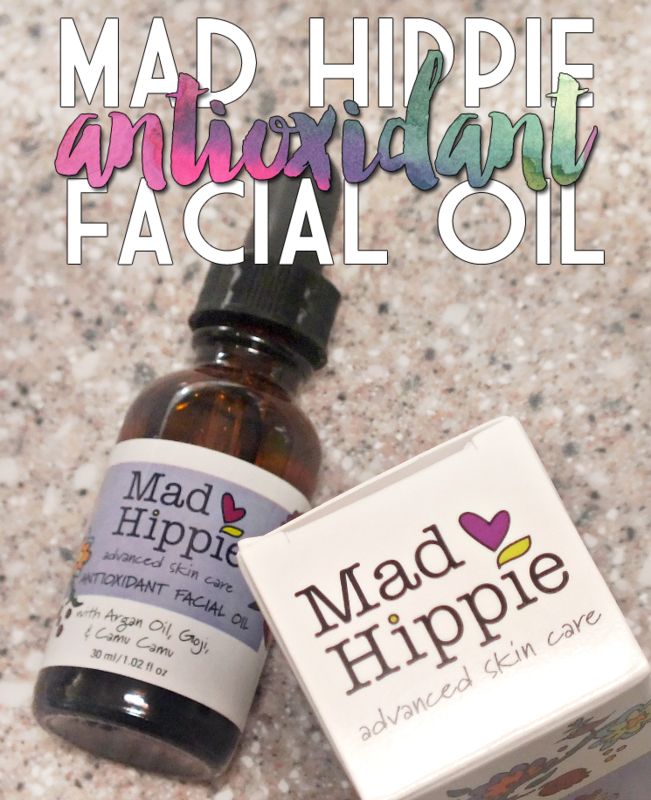 Are you a fan of facial oils?